The Longest Cocktail Party , written by the Apple Corps ‘House Hippie’ Richard DiLello and published in 1973, is just the book I needed after reading both Peter Brown‘s book and Alistair Taylor‘s book. This book as quite the refreshing look inside the workings of the Fab Four’s company Apple Corps. Richard DiLello was a New York born hippie who was traveling around the world trying to find himself, when he picked up a newspaper in London and saw a picture of Beatles PR man Derek Taylor whom he had known from when he spent some time in Hollywood. After giving Derek a call, Richard was offered a job working under Derek as a Client Liaison Officer, (but he was given the unofficial title of House Hippie). Technically, he was a gofer who spent from 1968 to 1970 working at his dream job. This book is absolute for all Beatles freaks. I’m just sorry I took so long to get a copy after hearing about it for several years. It offers a humorous and very real look inside the going ons and ultimate demise of what was to be the Beatles dream production company that was going to turn away no one with talent. At the start of the company, the Fab Four had put out ads telling any and all talented people to send in their tapes, poems, scripts and artwork for consideration for financial backing by the Beatles new no nonsense company. This book gives us all a glimpse of the diverse characters that walked through the doors, call on the phones and even took up residency within the walls of 3 Savile Road, London. Richard also let’s us in on the early management of Apple’s most successful talent: Mary Hopkins, James Taylor, The Iveys (Badfinger), White Trash, Jackie Lomax and others. There were a couple points of interest for me in this 286 page memoir that left me scratching my head. The first was the mention of the car accident John had in Scotland. Richard’s book only mentions John, Yoko and Kyoko in the car, but fails to mention that Julian was with them. Odd that he would be left out. Second after reading the book Miss O’Dell in which Chris O’Dell mentions Richard over 30 times (according to the index), Richard only very briefly mentions Chris maybe six times (“Chris O’Dell stuck her head in the door and asked…”). I expected to read more about her having a bigger part in this ‘party’. Note: In 2010, Liam Gallagher of the band Oasis took on the project of making this book into a movie. In 2014, Liam was picking actors for the film, but by 2016 he was unable to get financing and the production company Revolution Productions pulled out of the project. Boy, would I have loved to see that movie! Ringo Starr and His All-Star Band are touring the United States this October and November. Between Oct. 13 and Oct. 28, Ringo and company will play eight gigs at Planet Hollywood Resort & Casino in Las Vegas. From there, he’s off to the Lone Star State. Richard Starkey and his band will be in El Paso on Oct. 30, Austin on Oct. 31, and Sugarland on Nov. 2. Two days later, the band rocks the Global Events Center at Winstar in Thackerville, Oklahoma. Ringo will perform back-to-back nights, Nov. 7 and 8, at Parker Playhouse in Ft. Lauderdale, Florida. His route takes him to Atlanta, Georgia on Nov. 11; Norfolk, Virginia on Nov. 12; and Morristown, New Jersey on Nov. 14. The Beacon Theater in New York City hosts his penultimate concert on Nov. 15. His final date in the U.S. is set for Nov. 15 at the New Jersey Performing Arts Center in Newark. The All-Star Band is comprised of Gregg Bissonette (David Lee Roth, ELO), Warren Ham (Kansas, Toto), Steve Lukather (Toto), Richard Page (Mr. Mister), Gregg Rolie (Santana, Journey), and Todd Rundgren (Utopia, solo career). They been together since 2012, making this the longest running incarnation of the All-Starr Band, which started in 1989. There’s a tendency, especially by rock snobs and the pop culture intelligentsia, to dismiss this tour. To write Ringo and his band off as has-beens and shysters. I’ve attended to hundreds of concerts and none have been more enjoyable than Ringo Starr and his All-Star Band. They give fans a spectacular evening of music. Ringo also performs “It Don’t Come Easy,” “Photograph” (both written by him and George Harrison), and “I’m the Greatest” (written by John Lennon). Does Ringo hit all the notes? No, but for being 77 years old, he sounds pretty good. What he lacks in vocal strength he makes up for it with energy. Despite being close to 80, he’s still got a motor. Between Ringo’s songs, his bandmates take center stage. When this happens, don’t rush off to get another beer or visit the restroom. If you do, you’ll miss something special. Richard Page’s “Broken Wings” is haunting. He sounds amazing live. As you can see, the setlist for Ringo Starr and His All-Star Band is nothing but hits—more than two dozen classic rock songs. Now, Ringo and his band aren’t redefining the rock concert. They’re not on the vanguard of live music. Instead, they’re just having a blast playing good old rock and roll. You’ll have tons of fun. If you’re a Beatles fan, or a classic rock fan, you’re going to love Ringo Starr and His All-Star Band. If you’re neither, but appreciate great live music, you’ll definitely enjoy yourself. It will be worth your time and effort. The only way you won’t have a fun at a Ringo Starr concert is if you lack a pulse. Last week I said I would touch upon the commentary given by Alistair Taylor in the documentary Brian Epstein: Inside the Fifth Beatle. It just so happens that I was reading Alistair’s autobiography last week when I took a break to see the film. With the Beatles was the last book written by Brian Epstein’s personal assistant Alistair Taylor. It’s actually revision of his 2001 book A Secret History . Alistair also wrote a book Yesterday: The Beatles Remembered in 1988 that was reissued in 1991 under the title Yesterday: My Life With the Beatles . Why so many books by one man? Alistair Taylor started working at NEMS in late 1960 at the age of 25. Originally he had been interviewed for a sales clerk position, but after a two hour interview, Brian Epstein hired him as his personal assistant. The rest my friends is history. Alistair would become Brian’s right-hand man throughout his time as the Beatles manager and would come to be known as “Mr. Fixit” in the Beatles circle. Mr. Fixit was exactly as his name implies. He was in charge of any problems that arose in the Beatles professional and personal world. Alistair would shop for cars, houses, islands or anything else the Beatles might request. If a pregnant fan showed up, Alistair could make her go away with a check from Brian. If a Beatle happened to unfortunately come down with a STD, Alistair would find the cure and hand deliver it to them. And so it went, for 9 years Alistair Taylor literally waited on John, Paul, George and Ringo hand and foot even after Brian’s death. He was even a shoulder to cry on when Jane Asher left Paul. Until 1969 when Allan Klein did a clean sweep of Apple Corp., fired Alistair and the Beatles stopped taking his calls. Life would never be the same…. Dreaming the Beatles: The Love Story of One Band and the Whole World by Rob Sheffield was published on April 25, 2017. I had seen this book mentioned in the Beatles Book Collectors group on Facebook, but really didn’t pay it any mind until I stumbled upon it in a small book store while walking around a quaint little village with friends last week. Rob Sheffield was born in 1966. He is a columnist for Rolling Stone magazine and a former writer for Spin magazine, so he’s got the qualifications and background in music for writing a book. But even after telling friends he was going to write a book about the Beatles and them replying, “Another book about the Beatles? !”, he didn’t take the hint. To me, it seems, when he isn’t bashing Paul (He actually wrote a chapter about called “Paul is a Concept by which We Measure Our Pain”), he’s writing about things that are so incredibly repetitive to a true Beatles freak. There are chapters dedicated to songs, albums and each Beatle. There are also chapters with titles such as: Beatles or Stones; Something (1969) vs. My Love (1971; The Cover of Abbey Road; When George sang In My Life. At times, it was as if he was pulling ideas out of left field to write about or telling us his own personal stories. Chances are you’re not going to find anything new in these pages excepts for one man’s opinion of the Beatles, along with the story of Rob Sheffield’s experimentation with drugs and the fact that The Beverly Hillbillies were the top rated show in the U.S. from January to March 1964. 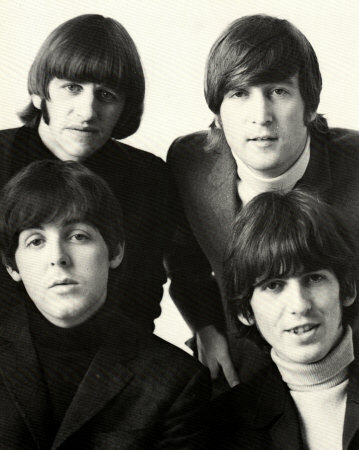 The Beatles – Fab Finds of the Fab Four by Noah Fleisher is another book recommended to me from Amazon. Author Noah Fleisher is the PR Director at Heritage Auctions (the largest collectibles auctioneer and third largest auction house in the world), providing him with a first hand knowledge of the worth of music memorabilia and collectibles. Published in November 2016, Fab Finds of the Fab Four is a 240 page paperback filled with beautiful color images of some of the rarest Beatles memorabilia you’ll ever see, though the author does acknowledges that the book only scratches the surface of what the Beatles merchandising machine actually put out on the market. This book not only provides the value of the items as they were set at auction, Noah also tells the story of the Beatles climb to fame and how each stage of that climb produced various items of worth. This book covers items from before they were famous up to the 2015 auction of Ringo Starr’s collection. Posters, tickets, photos, instruments, jewelry, letters, gold records, etc….it’s all in here. My reading and review of A Cellarful of Noise by Beatle’s manager Brian Epstein has been too long in coming. This book was published in August 1964 and since I was born in July 1964 and was unable to read at the time, I think I have a firm excuse for being tardy. I had one trepidation about reading this book and that’s because it was ghost written by my arch-nemesis Derek Taylor. Anyone who has read along with my blog for any substantial amount of time will know that Mr. Taylor just gets under my skin despite the fact that everyone associated with him always writes very highly of him and his place in the Beatles organization. Still, I wasn’t going to let this stop me from reading what I consider to be an absolute must read experience for any Beatles freak! The book’s entire interview and research period took place over a long weekend at the Imperial Hotel in Torquay in the south of England. On the first day Brian got through his childhood period without much trouble, but on the second day he started having difficulty telling Derek the story of his teens and early twenties.